Michele de Nostredame wrote under a Latinized pen name that would make him the most famous and controversial prophet of the last 450 years. 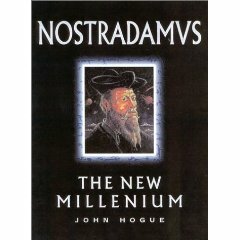 As Nostradamus he published a serialized history of the future between 1555 and 1561. He took careful attention to warn those of us living at the beginning of the 21st century about a potential clash between Near East and the West – a headlong collision between Judeo-Christian and Islamic civilizations. Long comets, he says, trailing sparks will strike cities like swords. 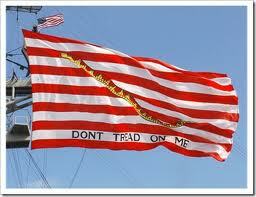 Ships of great navies will melt and sink into the waters of what mainstream geographers call today, the Persian Gulf. 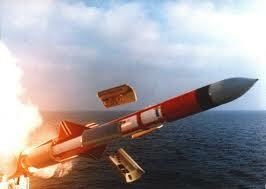 Nostradamus in his prophecies called it by the name Arabs use today, the Arabian Gulf. A Western alliance will plan a war with a future and militant Islam. 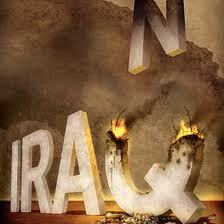 They send a modern-day crusader army into a place Nostradamus knew as Mesopotamia (Iraq). The crusaders fail. 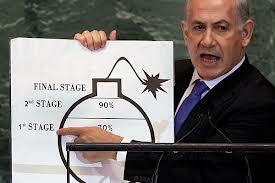 The hard religious law of their enemies strengthens and spreads its message from a place he calls Persia (Iran). 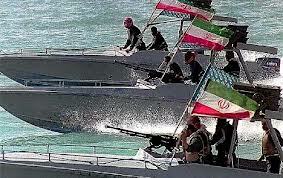 The Islamic holy warriors come out of Carmania (the Strait of Hormuz) to ambush a US Fleet named in prophecies by the banners it flies in war. Modern names appear lightly veiled in Nostradamus’ codes, but his astrological forecasts set this conflict clearly in our near future. 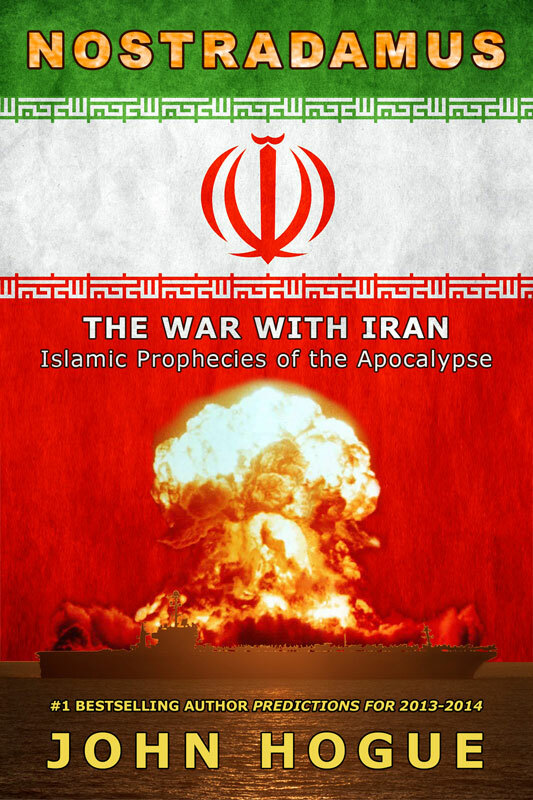 This is a completely upgraded, expanded and fully illustrated new edition of my 2007 e-book with an added array of Islamic apocalyptic prophecies matching those of Nostradamus, rarely published in the West. Can Regional Doomsday Save the World? Not only will you get the two e-Books seen above. I have in stock seven first edition titles of my rare printed books. Along with two e-Books, one of these be your personally autographed and addressed gift for a gift donation of $100 apiece (if living inside the US) or $120 (if living outside the US). For those Kiwis and Kuala Bears living in far off New Zealand and Australia, shipping requires a donation of $130 for each book. Your special edition printed book or books will be shipped out on the next day my country post office is open. 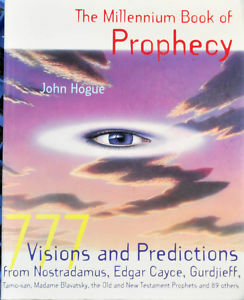 Please specify which book or books you want shipped in the Paypal message box, or, contact me at this link with the book or books you want as gifts for your gift to Hogueprophecy. John I am excited and cannot wait for 2013 predictions. I am glad I ordered it. Keep up your work, I believe you are gifted and talented. John It;s a pleasure. Just heard you on coast to coast. I will be 65 in 41 days, moved to Berkeley in 1980 to work in silicon Valley after 4 years in Montreal trying to fit in at McGill U, and 2 years as a clerk in Mfg Eng/Prod Cntrl, but Karma has other uses for me, and I became an aircraft inspector. (I was already a private pilot/mechanic/folk singer/philosopher from Toronto – winters – foster/adoptee, summers on the Severn River, where I remember seeing the increased use of outboard motorboats destroyed the river plants and missed the water bugs and dragon flies the boat[s oil slick destroyed when I was 4 in ’52, and tried hiding from reality in Indian Craft;s & Games by Ben Hunt and 7 years in wolf cubs & boy scouts till the 60’s liberated me, buy slowly became aware of my 3/8th native blood. through unkind and racist attitudes that have me stranded in Tucson in an ’83 33′ Itasca not being able to afford gas to get to contracts that are out there, but trying to learn the wisdom I hold and know I can’t help being a 180+ IQ enigmatic, charismatic, old soul fighting windmills, and the status quo as I try to restore my 1973 Piper 6 place Seneca I twin engined aircraft, and fly away into the sunrise to aid the needy in far away lands, as I seem to upset those who won’t accept a well bred educated, 6′ 3″ half breed. especially when he is right, with more tools, licenses, and experience than they will ever dream. Sad but true. Thank you John for all your efforts in regards to your latest book. I eagerly await receiving it.